Nameless terrors, sure, but what a great location! 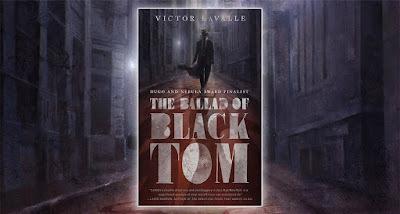 While it’s true that Victor LaValle’s THE BALLAD OF BLACK TOM draws from the Cthulhu mythos, readers who are unfamiliar with H.P. Lovecraft’s work will have no trouble diving into this story. From the start, LaValle establishes a world that is at once familiar and yet eerily suspect. The characters, especially Thomas Tester, are wholly believable, understandable, and even relatable and the story is engaging throughout. LaValle’s story of magic and horror is set in the mid-1920s in New York City, centered on Charles Thomas Tester. Tommy Tester, as he’s known for the first half of the book, is a jack-of-all-trades, straddling the line between con-man and likable rogue. He plays guitar, but not with any real skill and with no desire to learn more—only enough to make people think he’s a down-on-his-luck artist who is better than he appears. From time to time Tommy delves into the “weird” and while he isn’t wholly knowledgeable, he knows enough to be dangerous to himself and others. He is the perfect narrator to introduce readers to the life of Black Americans at the time, while also establishing the mystical that lays just beneath the surface. When Tommy meets Robert Suydam, and is offered more money than he can make in a year to play at a private party, he knows he shouldn’t go. He’s wholly right. What Suydam is up to is nothing short of evil. But in meeting Suydam, Tommy also runs afoul of two police officers, working as private detectives. They warn Tommy off, yet Tommy is drawn in by his desire to be his own person, his curiosity and his greed. As those worlds start to collide and events unfold, readers are treated to nothing short of magical—the dark kind where no one escapes unharmed. LaValle creates characters that are wholly engaging. The pace and flow of the story makes this an engaging and memorable read. LaValle takes H.P. Lovecraft’s world and makes it his own, without once shying away from all the issues that were prevalent in 1920s America just as they are today. THE BALLAD OF BLACK TOM may have been inspired by H.P. Lovecraft, but LaValle has made the world his own. The magical realism and horror are both realistic and otherworldly, the plot moves quickly but is wholly character-driven. LaValle has created a world that hopefully (scarily) should be visited again. What horror books or Lovecraftian stories are your favorites? Tell me in the comments below! Most humans are fragile creatures at the best of time. Any deviation from the norm, and our body goes into shock to try to compensate, rendering us almost completely non-functional. In college, while riding my bike, a truck cut me off and I slapped into hood. I don’t really recall landing, but I must have at some point as I’m currently Earth-bound. What I do remember is shaking pretty violently. If anything else had happened, I would have been incredibly slow to react. This isn’t the case for story heroes. This is part of the reason we read books or watch movies and television shows. For the normal person, sure—getting shot anywhere, or having a bone broken, or heck even being punched a few times, and we're down for the count. There are, though, rarer individuals, who have suffered, or who can suffer, pain and discomfort on higher levels. 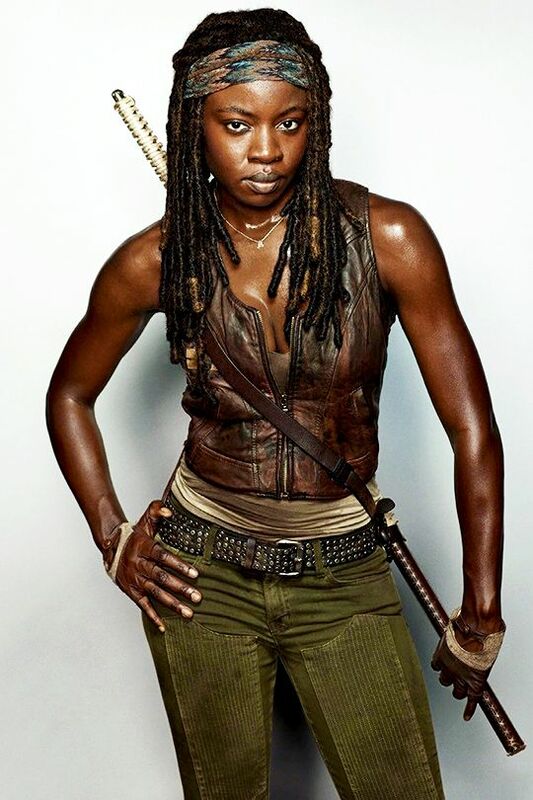 Michonne doesn't have time for broken bones! Add training and experience to the mix, throw in some motivating factors—maybe kidnap a child or murder a dog—flavor with a catch phrase and some custom weaponry, bake until ready, and suddenly you’ve got a character who can bear up under more incredible rigors. 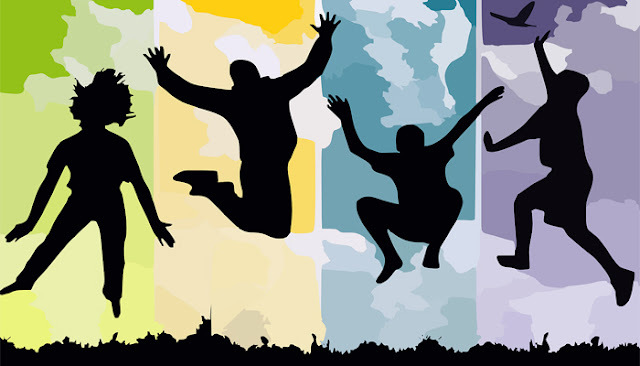 Writers take that individual—or a group of such—raise them up one more level and make them a hero. 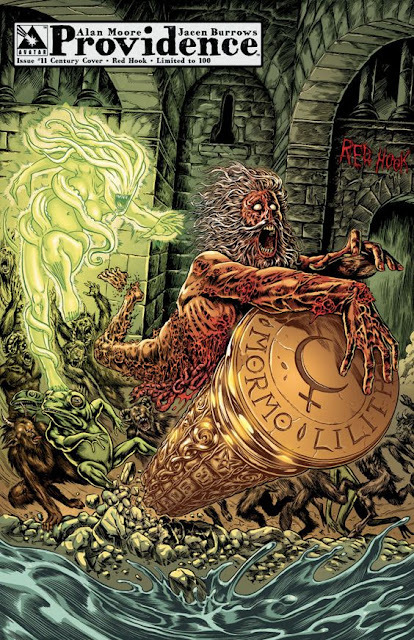 Classic Greek and Roman characters often carried some divine blood to help them along. These days we’ve removed much of that in favor of the Everyman/Everywoman who can give as good, and better, than take. While a bullet in the arm (just a flesh wound) or a dislocated shoulder is bad, it doesn't knock them out of action completely. This isn’t without precedent. Peruse the US Congressional Medal of Honor rolls to see how far some people can go simply on adrenaline and sense of duty. The trick is to set the world up so that your readers know WHY this individual can shrug off a stab to the thigh because, she "doesn't have time to bleed." Richard Morgan does a very nice job of this in "Altered Carbon"—which the series writers did even better. 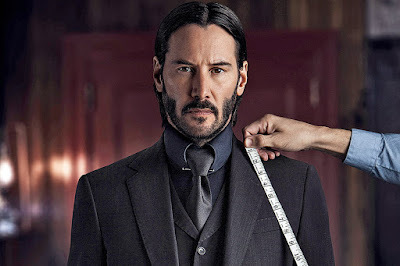 Takeshi Kovacs starts out a reasonably normal person, but with conditioning, training, and experience, he becomes incredibly tough and motivated, even through all kinds of injuries. Thrown into a situation where mere mortals would be quickly and efficiently chewed up and spat out, Kovacs instead bleeds a little, grunts a lot, takes a lot of punishment, but generally triumphs. Who is your favorite hero who can take a lot of damage? Tell me in the comments below! Did I mention the dirigible? My boys, at least the older two, are total gamers. The youngest one is like me and can take or leave gaming. I tend to find a game or two for my Kindle and play them endlessly. For awhile, I was playing “Age of Conquest: Europe” which like Risk without the dice—take that Irkutsk! I tried CandyCrush for a bit, but the sales pitch to move to the next level was making my teeth ache. Samurai vs. Zombie Defense was groovy—especially the part where I get to be a samurai defeating zombies! DungeonQuest was a decent hack-and-slash, until the character advancement stopped. Lifeline was impressive, but because of the delay in messaging, it lacked replay value. Plague, Inc. is pretty decently fun, and I pop back into it every now and then to try to destroy the world with some virus or microphage. Stick War: Legacy kept me going for a year or so, especially the tournament mode. Recently, REDCON has been my go to. 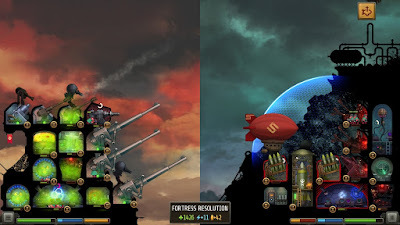 There’s a kind of steampunk/dieselpunk quality to the setting that I really groove on, and they have dirigibles! The story is fair, and it has a nice twist ending. I’d like some additional play options, and an actual concluding fight, rather than the still image and text explanation, but for all that, it's satisfying in its own right. I've replayed it three or four times now. What’s your favorite game app? Tell me in the comments below! Hiro Protagonist, a name you won't forget. Neal Stephenson’s SNOW CRASH is one of those seminal books that, if you’ve read any other cyberpunk or watched any of the subsequent movies, hasn’t aged all that well. If you can put the book into context as one of the first of its kind, then you see all the amazing things that Stephenson is doing. Without that, it feels like all the main characters are a Mary Su or Marty Stu, even if that wasn’t the case at the time. Meet Hiro Protagonist—a name crafted so that you won’t forget it—expert hacker, marketing genius, and the world’s greatest swordsman (yeah, I’m not making that up). He’s also a rebel without much of a cause, floating through life, rejecting job offers that would make him quite wealthy because he doesn’t want to “sell out”. Hiro is reduced to delivering pizza in a world that hasn’t just gone corporate government, but has legitimized crime syndicates, so long as they can deliver on the goods—including pizza. Now meet Y.T. 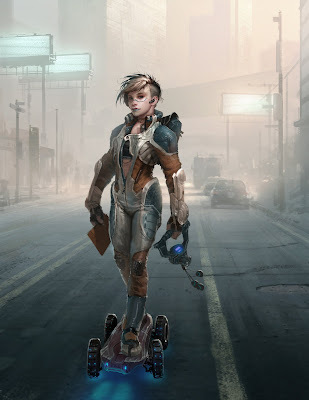 (not Whitey), a skater-courier, and underage hottie, who doesn’t know when she should be scared, and enjoyed her courier-skateboarding life almost as much for the thrill of nearly dying, as for the money she makes doing it. Down boys! She's only 16! When Hiro’s best friend, and fellow hacker, Da5id, looks at a new bitmap “drug” in the virtual world called Snow Crash, he’s immediately put into a comma. Hiro’s ex, equally brilliant and equally hot hacker, Juanita shows up just in time to start Hiro down an obscure and interesting path that starts all the way back at the beginnings of human history, and trickles down to the stories near-future. Hiro enlists Y.T. to act as an intelligence gathering agent, and the two set off on a cyber adventure with real life consequences. 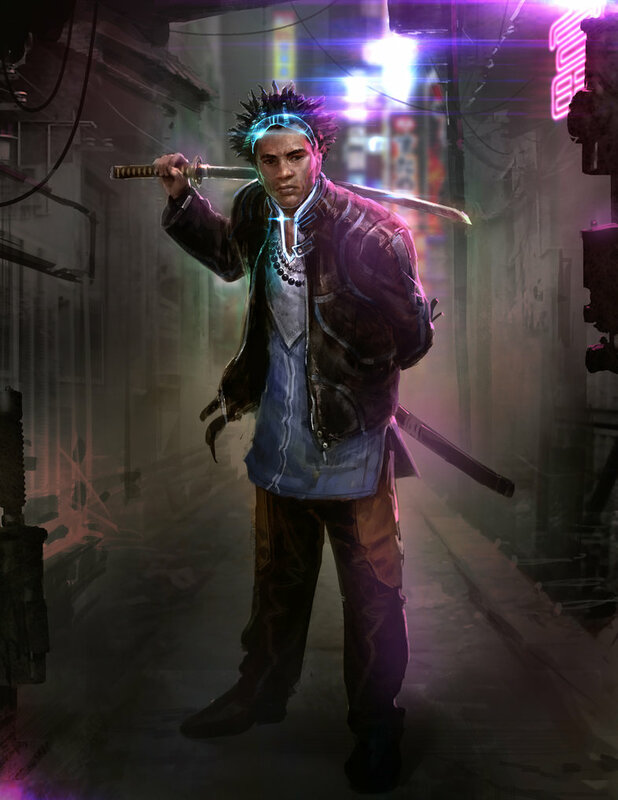 Overall, science fiction and cyberpunk fans will find much and more offered by Stephenson in SNOW CRASH. The core plot is one that easily remains interesting and unique, even if the characters now seem to be more fantasy and computer game generated. In a world of Altered Carbon, it’s hard to not laugh at the vast skill set Hiro and Y.T. reveal as they go through their motions. The story is not bad, not at all, and certainly it’s a fun and interesting read. I also wouldn’t mind seeing a movie made from this, updating the plot, and giving a bit more depth to the world and the characters. What book, or series, would you like to see made for television? Tell me in the comments below! "Forget about how the Russians meddled!" And Flynn, and Gates, and Manafort to match! Pinedo! van der Zwaan! Kilimnik! Patten! The guilty even includes Trump's lawyer, Cohen! A tariff here, a tariff there to create financial doom! Another day, another scandal, "Believe me, it's not a mushroom!" A jolly good financial scam to burn him. Holler, girls! Holler boys! Make those ballots sing! Holler louder, vote November, bring down Trump the "King"! What are your reasons for voting—or not voting—this November? Tell me in the comments below! Where the HELL is she looking? A long time ago, perhaps as long as two years, I was working with a cover artist for a new version of Tears of Heaven. Working with is a bit of a stretch. I communicated through someone else to the artist. One of the problems with this was that the artist kept insisting on putting religious icons and tattoos on Del. A cross necklace, for example, didn’t make sense. Del doesn’t have to believe in a higher power—she interacts with them all the time. That higher power didn't discriminate with a single set of religious beliefs. The tattoos were a little different. I don’t mind tattoos myself, I have two, but the artist kept putting one of a demon on Del’s arm. Why a demon? 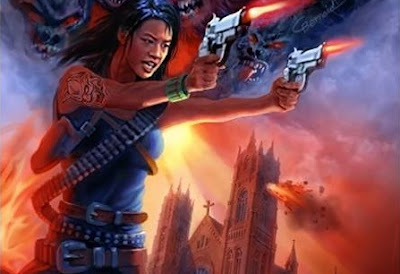 Why would a demon hunter put a demon on her arm? Especially when the demons all looked beautiful (at least to start). Was she trying to remind herself of how silly mortals are about their fears? Yep. I still hate it. Since I was working through someone else, we never got to have that conversation. I'm sure I came off as a prima dona about the cover art. The less said about the bullet bandolier, also the better. I’d keep telling him (through the intermediary) to take the tattoo off. One version it would be gone, and the next it was back. There were other issues—as you can see on both the draft version and the final. The whole process was something of a horrible fight. In the end, I realized that it was never going to get any better. 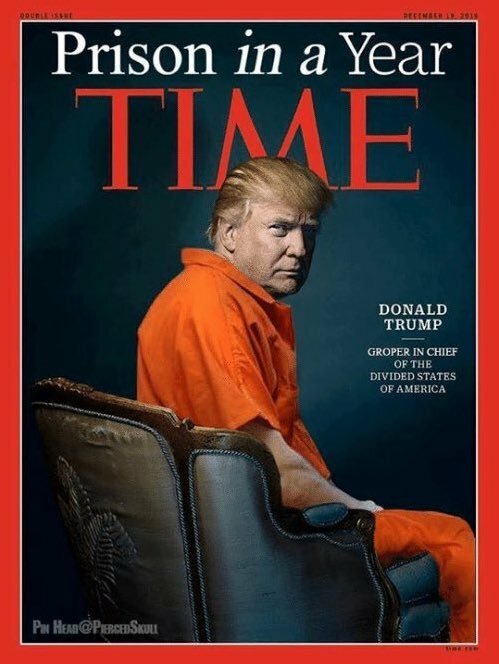 I never liked the final version of the cover. I do not blame the artist. I mention all this because working on the new cover has been a dream. There’s no comparing the process between the two. I’m looking forward to the final product and I'm excited to share it with everyone! Maybe I’m waiting for the other shoe to drop. What would you like to see on a Del cover? Let me know in the comments below. Take a look at what I've done! This announcement has been brewing over the last couple of weeks. I’m thrilled, just tickled pink and stick-a-fork-in-me-I’m-done, over-the-moon excited to announce that the Flames of Perdition (Del) series has a new home! Clayborn Press (thank you JJ!) has picked up the books, and everything is in the works to release them as quickly as possible. The hope is that a newly-branded version of Tears of Heaven will release in a couple of months, with Hell Becomes Her to follow quickly. 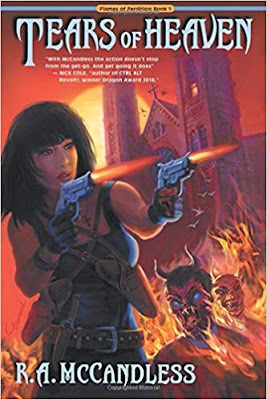 The only question will be if I can get Sins of the Throne: A Jane Ivey Adventure completed before I start feeling the pressure to release Del’s third (and final) book Company of the Damned. What a wonderful problem to have! In related news, I’m working with a couple of new cover artists, so the look and feel of the books will be more closely aligned with themes of the books. The process to publication has been a . . . let’s call it “interesting” learning curve. There have been some really high highs (SoCal baby!) and some really low lows. I may not be any smarter, but I’m certainly wiser than I was when I started this whole journey way, way, way back in 2013. Thank you all for your continued support, and keep looking for more updates as plans become solid! Who was your favorite character in the series? Tell me in the comments below! Stay-tuned for an exciting announcement, arriving here tomorrow!